To determine whether texture analysis features on pretreatment contrast-enhanced computed tomography (CT) images can predict overall survival (OS) and progression-free survival (PFS) in patients with metastatic malignant melanoma (MM) treated with an anti-PD-1 monoclonal antibody, pembrolizumab. This institutional-approved retrospective study included 31 patients with metastatic MM treated with pembrolizumab. Texture analysis of 74 metastatic lesions was performed on CT scanners obtained within 1 month before treatment. Mean gray-level, entropy, kurtosis, skewness, and standard deviation values were derived from the pixel distribution histogram before and after spatial filtration at different anatomic scales, ranging from fine to coarse. Lasso penalized Cox regression analyses were performed to identify independent predictors of OS and PFS. Median OS and PFS were 357 days (range 42–1355) and 99 days (range 35–1185), respectively. Skewness at coarse texture scale (SSF = 6; HR (CI 95%) = 6.017 (1.39, 26.056), p = 0.016), Response evaluation criteria in solid tumors (RECIST) conclusion (HR (CI 95%) = 3.41 (1.17, 9.89), p = 0.024), and body weight (HR (CI 95%) = 0.96 (0.92, 0.995), p = 0.026) were independent predictors of OS. Skewness at coarse texture scale (SSF = 6; HR (CI 95%) = 4.55 (1.46, 14.13), p = 0.0089) and RECIST conclusion (HR (CI 95%) = 10.63 (3.11, 36.29), p = 0.00016) were independent predictors of PFS. Skewness values above − 0.55 at coarse texture scale were significantly associated with both lower OS and lower PFS after administration of pembrolizumab. Pretreatment CT texture analysis–derived tumor skewness may act as predictive biomarker of OS and PFS in patients with metastatic MM treated with pembrolizumab. • Pretreatment skewness at coarse texture scale in metastases from malignant melanoma was an independent predictor of overall survival and progression-free survival. • Skewness values above −0.55 at coarse texture scale were significantly associated with both lower OS and lower PFS after administration of pembrolizumab. • In patients with metastatic MM, texture analysis performed on pretreatment CT may act as a useful tool to select the best candidates for pembrolizumab therapy. 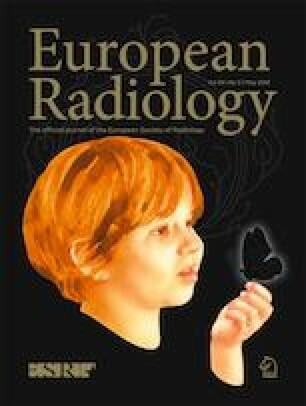 The scientific guarantor of this publication is Carole Durot, MD, Centre Hospitalo-universitaire de Reims.